This is our new puppy Murray. 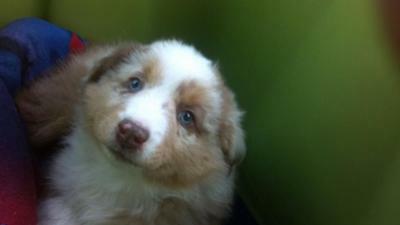 My fiance and I have been wanting to get a new Aussie for a few years now and finally broke down and got one. He has been nothing but a bundle of joy the first two weeks even if he is a bit of troublemaker. He is so cute, I love the aussie's too. We now have three, you will want a sis or bro in a couple years.